Who would have thought that fungal growth in your wall cavities and crevices can wreak havoc in your lives? Mold is highly invasive and can take parasitic control over your lives if you don't act on it in time. A small water leak that you have been ignoring all this time has now led to mold formation by giving it the perfect environment to breed. You may not see its damaging effects until it starts to affect your health. Skin irritation, respiratory problems, allergies and other conditions are just a tip of the iceberg! 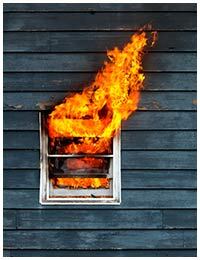 While it impacts your health, it is also slowly chewing away your building’s structural integrity. 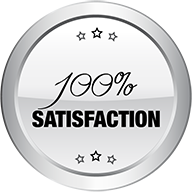 Rather than sitting around and waiting for it to get worse, call the best remediation experts in Plantation, FL - Plantation Restoration Company. 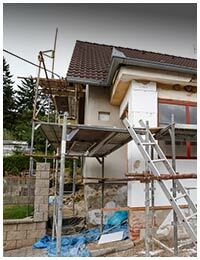 We will come in a jiffy and fix your mold problems with utmost dexterity. Why bleaching is not the solution? There are many DIY solutions out there that claim to help you get rid of mold. However, they are not half as effective as they promise to be. One of these overrated remedies is bleaching. Chemicals that you buy from your hardware store will prove to be ineffective against mold removal. It may fix the problem for now, but it’s certainly not a sustainable resolution. Believe it or not, this method does not actually kill the mold, but ends up promoting it. Rather than trying to deal with such a complex problem on your own, call us on 954-621-2753 and let us do it for you! Since mold is omnipresent, it is almost impossible to actually remove it. They become problematic only when they grow exponentially and exceed permissible limits. This is why we urge you to not trust anyone who claims to “remove” the mold for you. We understand the science behind mold growth and use the knowledge to keep the mold levels in check. Mold needs damp, air tight spots with source of organic food such as wood, paper, fabric etc. 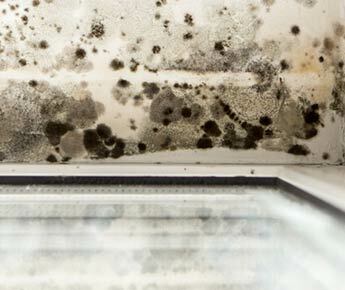 When it finds these three elements, mold starts proliferating. In treating mold growth, we cut off its supply of moisture and organic food. We make the environment unfriendly for their advancement. To be able to treat the problem, you first need to know where the problem is. If the mold is visible, we can rule out this step. However, when the mold is hidden is when you need a professional inspection. Plantation Restoration Company uses advanced techniques and methodologies to identify hidden moisture that could be a potential source of mold. Then we use specialized chemical cleaners to prevent its growth and recurrence. Are you tired of dealing with mold and the discomfort it brings in your life? Call us at 954-621-2753 right now if you live in Plantation, FL.